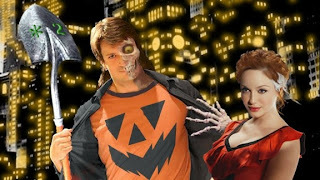 Halloween Man Comics: Nathan Fillion as Solomon. Christina Hendricks as Lucy. Nathan Fillion as Solomon. Christina Hendricks as Lucy. A fun little photo manipulation Scott Simmons did a few years back.